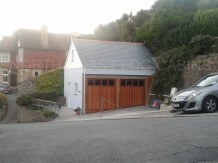 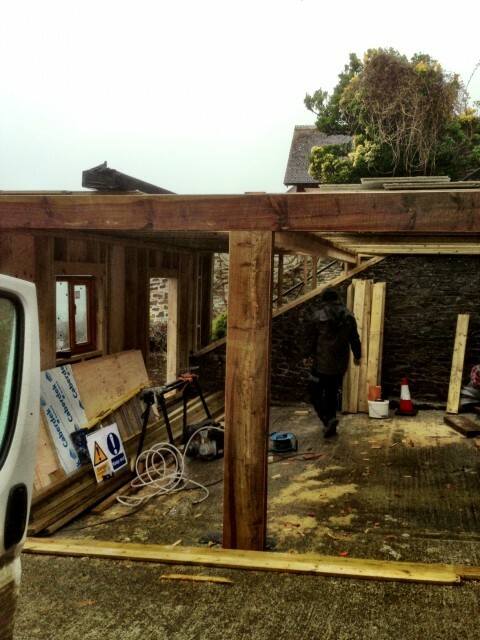 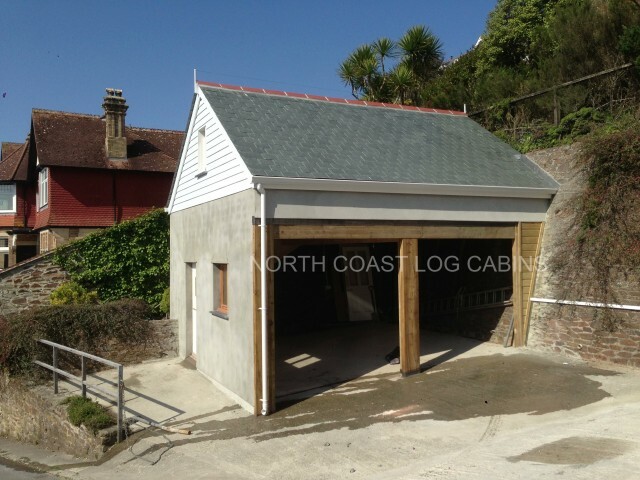 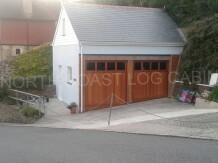 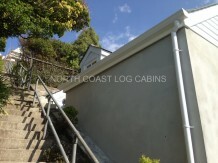 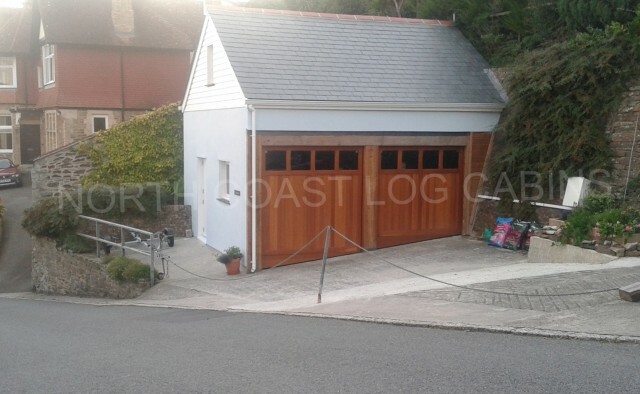 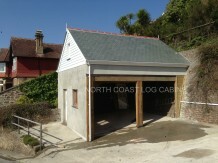 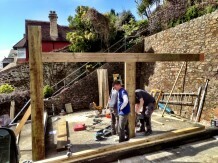 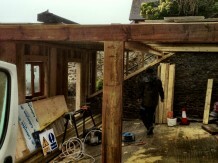 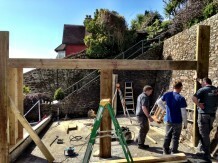 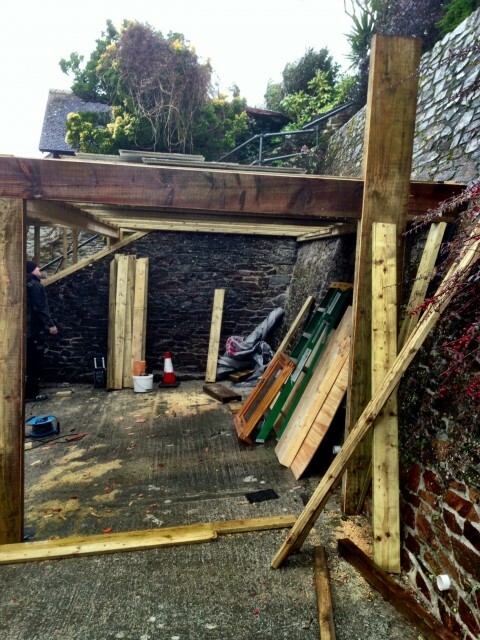 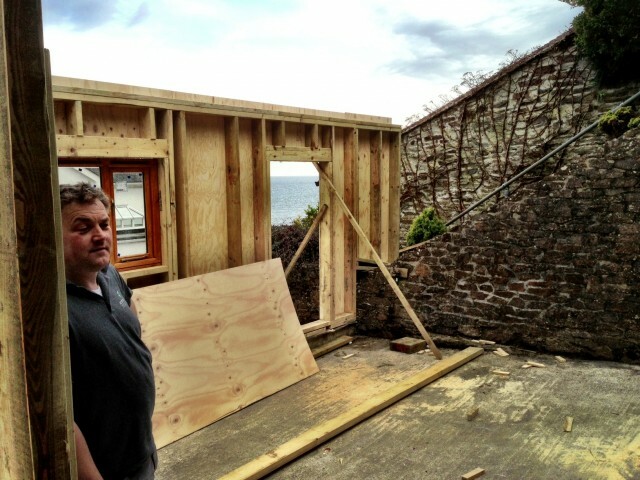 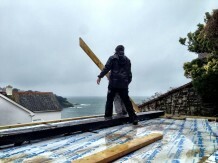 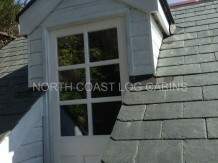 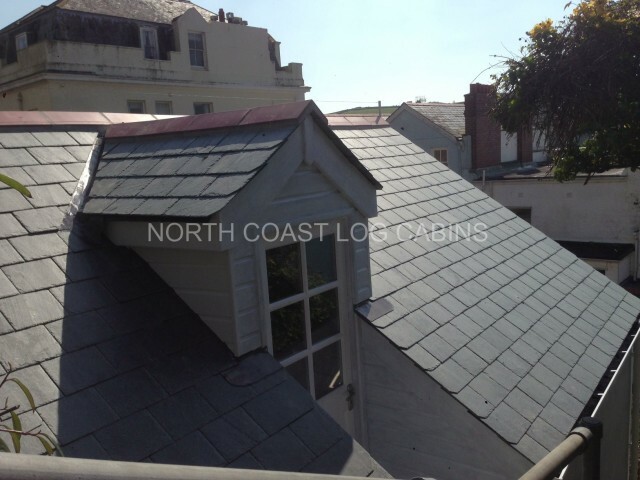 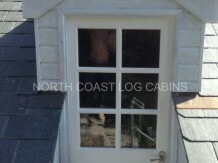 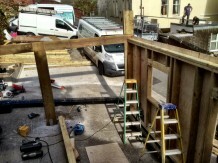 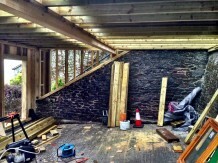 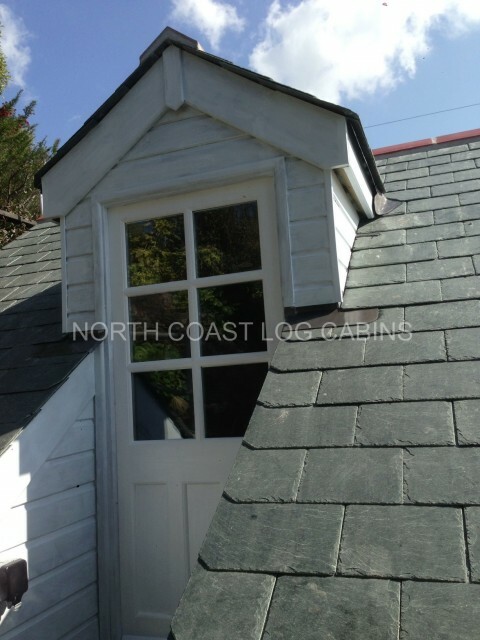 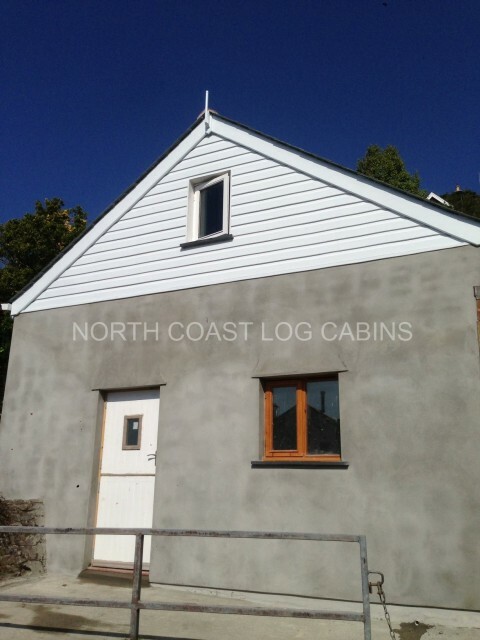 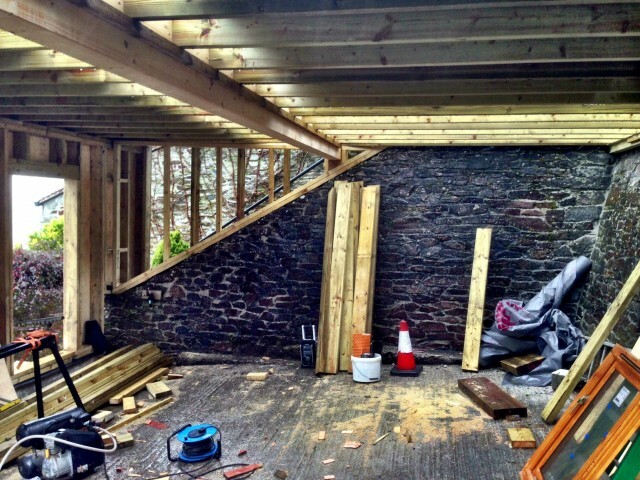 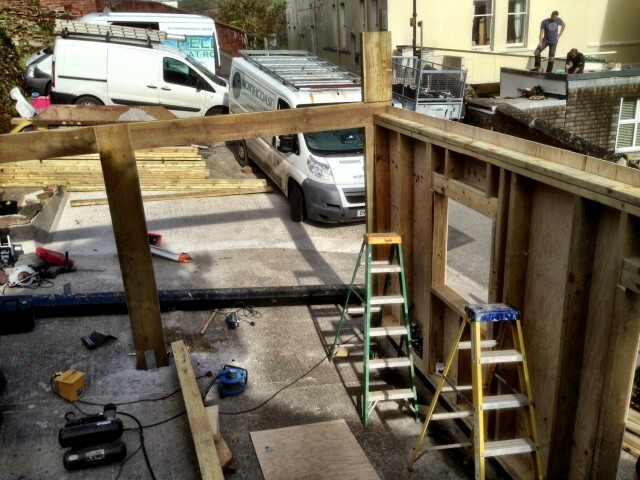 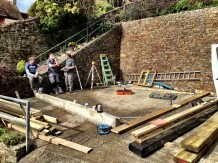 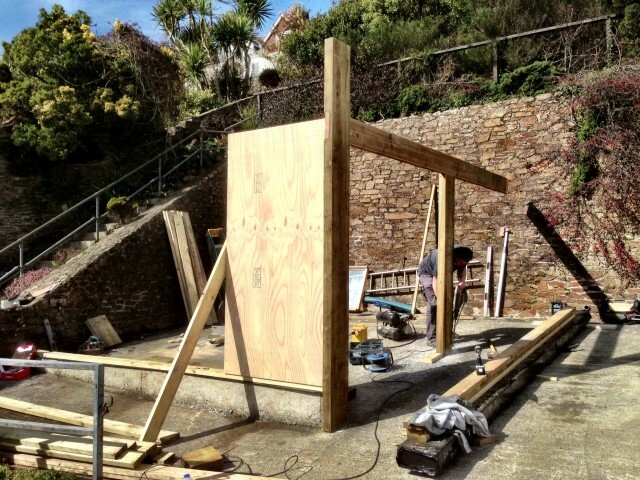 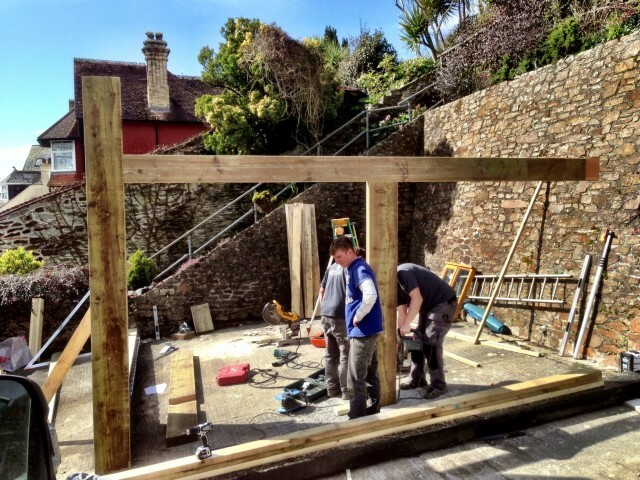 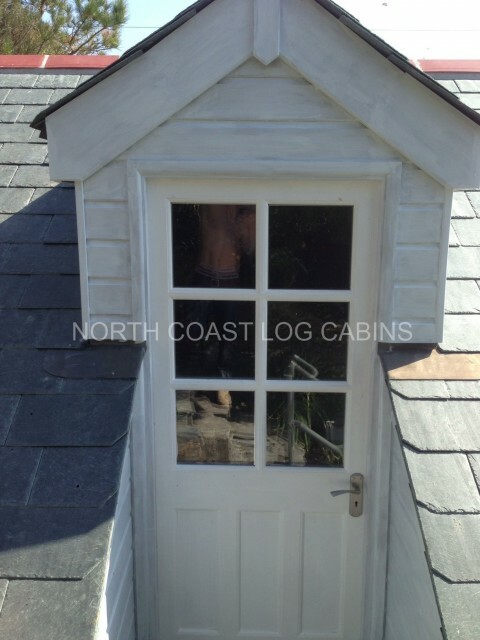 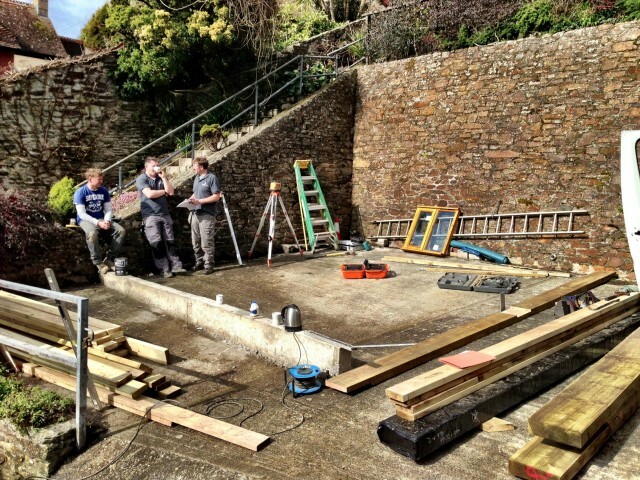 Here are some pics of a timber frame garage we built in Fowey, Cornwall. 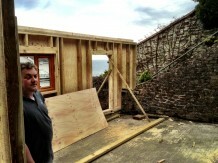 The site was uneven and not square. 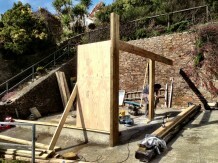 No drawings were made for the panels as these were made on site. 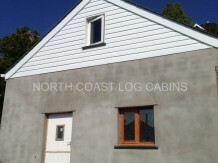 The doors are fitted and the render has been painted now. 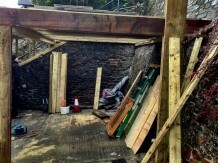 It was an interesting site to build on. We do enjoy a challenge.